Walking is a great activity. It can help keep you healthy and relieve stress. There are so many benefits both mentally and physically to walking. 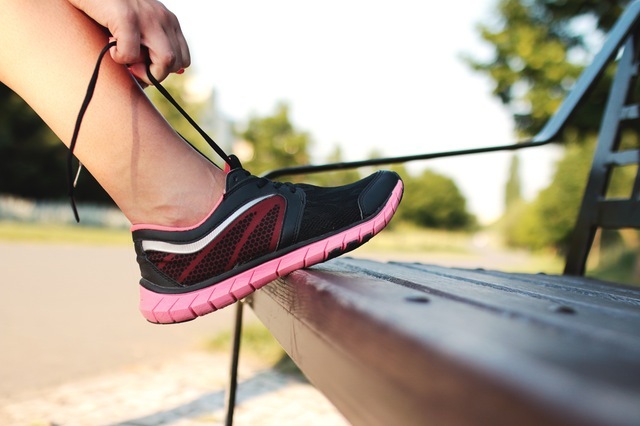 If foot pain is keeping you from walking, you need to read this article so you can put your pain in the past and get moving! Your shoes are the first step to pain free walking. Choose a good quality, lightweight walking shoe with breathable upper materials, such as leather or nylon mesh. Look for a very firm heel counter; the heel should have reduced cushioning to position the heel closer to the ground for walking stability. The front or forefoot area of the shoe should have adequate support and flexibility. The ideal walking shoe should be stable from side to side, well-cushioned, and it should enable you to walk smoothly. Many running shoes fit all of these criteria well, and for most people are acceptable for a walking program. However, there are specialty walking shoes that may work well for you. These tend to be slightly less cushioned, yet not as bulky, and lighter than running shoes. Most important, whether you are wearing a walking or running shoe, is that it must feel stable to you. Either type of shoe is acceptable if it works well with your foot mechanics, providing cushioning and stability. Your choice of athletic socks is also important. Choose padded socks made of acrylic fiber, which tend to "wick" away excessive perspiration. Active feet can produce sweat from 250,000 sweat glands at a rate of four to six ounces a day, or even more. Before buying, try this test. Place the shoe on the counter and make sure the heel is straight up when looking at it from the rear. Ensure that the midsole is well-connected to the upper and that the stitching is complete. Check inside the shoe for any irregular bumps. If you have bunions or other special considerations, consult our office about the best shoe for you. If you have prescription inserts, substitute your insert for the existing one (most shoes have a removable insole) to make sure it will fit properly, if possible. Remember that every shoe manufacturer uses a different basic shoe shape. Some are shorter or longer than others of the same size; some fit a wide foot perfectly, while others are cut for a slimmer foot. When the shoes are on your feet, the heel should be snug. If it slides in the store, it will slide while you are walking. You should be able to wiggle your toes in the shoe, and there should be one half to a full thumb's width between the end of the longest toe on your longer foot and the end of the shoe's toe box. Make sure your ankles don't roll in the shoes.